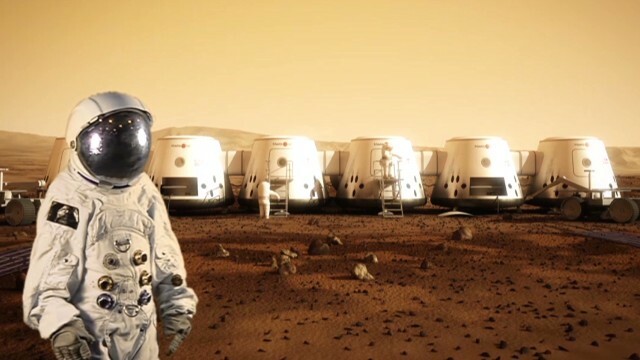 Home Personal Tech Mars One mission: 200,000 volunteers apply for one-way trip! In 2022 four astronauts, picked from tens of thousands of applicants, will jet off on a one-way mission to Mars as part of the world’s most expensive reality TV show. If you were not around when the man first set his foot on the Moon, you are certainly here to witness mankind’s next big leap – travel to Mars. And, this time it is not just about witnessing a history making event but there’s also a chance for you to be on the plane that will head out on a one-way mission to the red planet. Despite the fact that the men and women chosen for the mission will never return back to earth, Mars One has received more than 200,000 applications from 140 countries for a one-way ticket to the Red Planet. Twenty-four percent of the applications the organization received were from the United States, followed by India with ten percent. Mars One, a non-profit organization, claims confidence in making the dream come true as the organization aspires to settle a permanent colony on Mars by 2023. Countries with no applicants include North Korea, Gabon, Equatorial Guinea and Greenland. More than 850 people from Ireland have applied to take part in a proposed mission to Mars, with the aim of starting the first human settlement. The Irish applicants are among 202,586 people from around the world who have expressed their interest in taking part in the Mars One project. It is run by a Dutch foundation that “hopes to establish a permanent human settlement on Mars in 2023”. Mars One opened its “astronaut selection program” in April this year. The first round of applications closed earlier this week and the organizers said that the majority of applications (24%) were received from people living in the United States. Would-be Indian astronauts were the second biggest applicant group at 10%, while Chinese applicants were third at 6%. It’s unclear whether enough money will be raised to actually fulfill the plan. There are also practical issues: Can the kinks in having a sustainable system for people to survive in such a harsh environment be worked out by 2023? Great Britain was fifth in the applicant space race. British people made up 4% of the Mars mission applications, one percentage point behind Brazil. In response to a query from the Irish state broadcaster, RTÉ, the organizers confirmed that more than 850 of the applications they received in the last five months were from Irish people. From this initial pool of aspiring Martians, the organizers say they will narrow their selection over the next two years, choosing up to 40 individuals for seven years of full-time training. They said they hope to select a team from the trainees who will “become the first humans ever to land on Mars” in 2023. However, the successful applicants would receive a one-way ticket to the red planet- as the plan is to send the astronauts to Mars to “live there for the rest of their lives”. 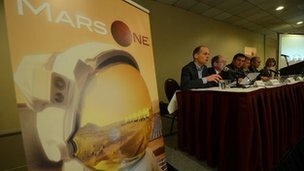 Stitching Mars One describes itself as a Dutch non-for-profit foundation and also “the mother company of Interplanetary Media Group, a for-profit company, which enables the foundation to secure funds from its investors”. It is led by the Dutch entrepreneur Bas Lansdorp. His team began planning the mission in 2011. Meanwhile, Buzz Aldrin has also caught Mars fever. He said in an exclusive CNN Light Years commentary that the United States should make a commitment to going to Mars. “There’s a window of opportunity ahead for a bold, Kennedy-like proclamation that placed the nation in the 1960s on a moon-bound trajectory: ‘I believe this nation should commit itself, within two decades, to commencing American permanence on the planet Mars,’ ” he wrote. He advocates for a permanent human presence on Mars by the 2030 to 2040 decade. If Mars One’s vision comes true, that could happen even earlier – but, again, the money and the technology need to be there to make it happen.